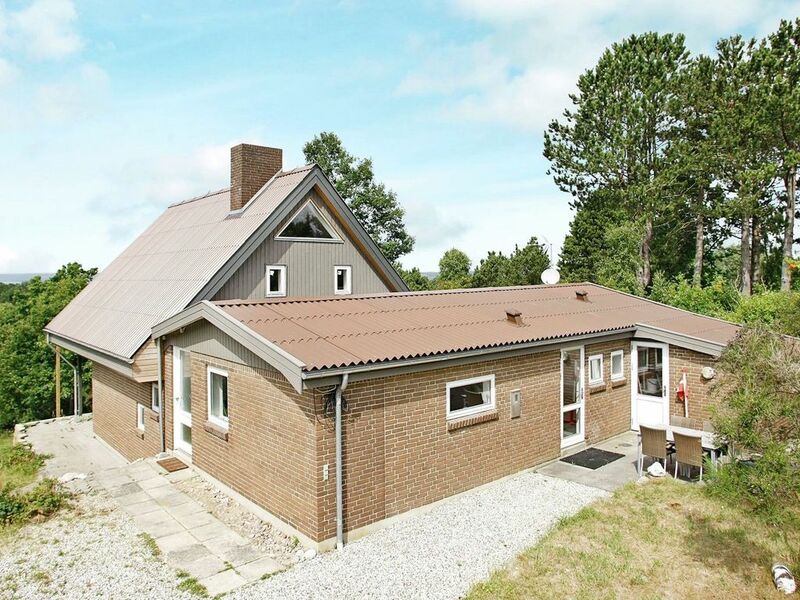 Holiday cottage with stunning views of the golf course Ebeltoft Vig and the town. The 1st floor has a large wooden terrace where you can enjoy the sun most of the day and panoramic views across Ebeltoft Vig and the masters of the Frigate Jutland. Enjoy the morning sun on one of the many terraces. One bathroom has a whirlpool, and in the living room on the ground floor there is a lettel stove for heating the house. On the 1st floor there is a wood-burning stove for cold summer nights. There are several activities in the house, e.g. darts, table football and game console (please bring your own games). The area has a shared playground and football field. No letting to youth groups.